Very luxurious villa with magnificent views. Great location only few minutes from centre of St. Tropez. Exclusive equipment - jacuzzi, pool etc. Provençal Villa 800 m away from the sea and just 500 metres away from the Dolce Fregate golf course. Swimming pool, terraces, exotic garden and a great location. 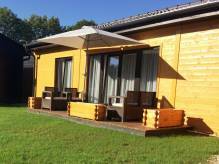 New hotel with 10 rooms, aptly located near Geneva, which ensures a high occupancy rate. Established hotel with a restaurant and a modern conference room. 41 rooms, beautiful sea views. A very nice apartment with luxury amenities and spacious terrace offering a splendid view of the sea and the Cap d'Antibes peninsula. 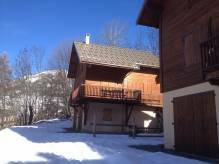 Chalet in alpine style in walking distance to the slopes. Beautiful views.